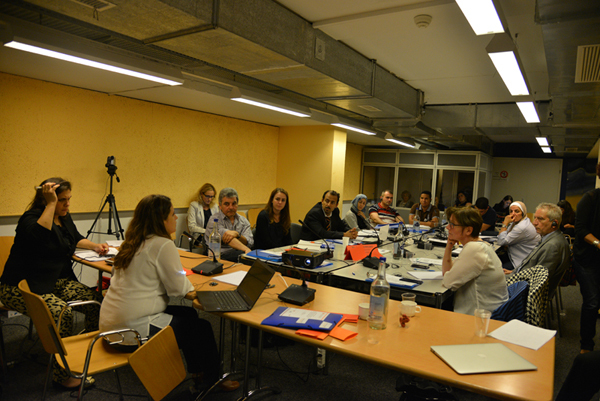 From 18 to 24 September 2014 in Geneva, Switzerland, the International Secretariat of Defence for Children International (DCI-IS), in collaboration with DCI-Palestine, organised a seminar on advocacy and lobbying for children’s rights advocates from the Middle East and North Africa (MENA) region. The objective of the training was to strengthen the capacity of DCI representatives from the region on existing international human rights mechanisms and to demonstrate the various ways to effectively advocate and lobby for the human rights of children, and work towards concrete implementation on the ground. 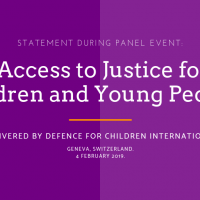 The training is the second of this kind in Geneva and forms part of the regional programme on justice for children that DCI is implementing in some countries in the Middle-East and North Africa. The seminar was sponsored by the Republic and Canton of Geneva, the Ministry of foreign Affairs of the Netherlands, through DCI/ ECPAT Netherlands, and the City of Geneva. The DCI national sections that were attending the seminar included: Sudan, Yemen, Palestine, Jordan, Tunisia, Morocco and Mauritania. Representatives from Latin America, Africa and Europe were also present to share good practices and lessons learnt from their own experience. As part of the training, two side events were organised: Child Rights Besieged in the Middle East (22 September, Palais des Nations) and Child Rights Defenders – the fatal consequences (24 September, Palais des Nations).